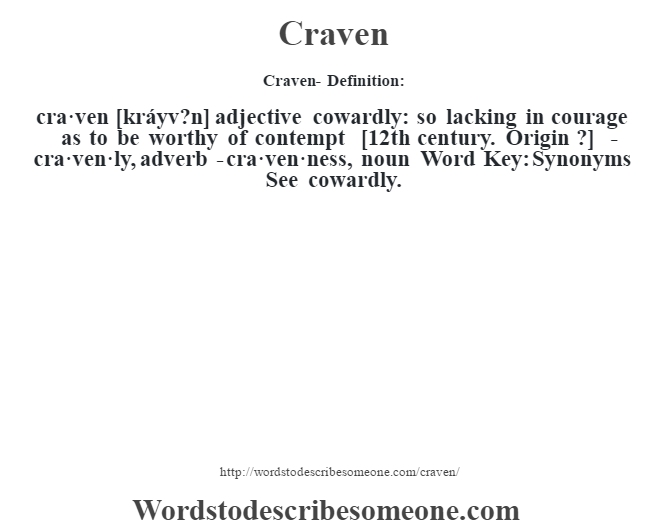 cra·ven [kráyv?n] adjective cowardly: so lacking in courage as to be worthy of contempt [12th century. Origin ?] -cra·ven·ly, adverb -cra·ven·ness, noun Word Key: Synonyms See cowardly.